While you might not think of Spotify as a platform where people can harass others (the app doesn’t have a messaging feature, after all), it’s definitely happening, and Spotify is doing nothing to stop it. Buzzfeed News reports that women using Spotify have been asking the company for a block feature for unwanted and even abusive followers, who can track their every move on the app and what they’re listening to. One woman interviewed describes how her ex interpreted her listening patterns as proof she wanted to date him again, while another posting to a Spotify community forum explains that someone she took a restraining order out on was still passively stalking her through the app. Others simply want to block unwanted followers because the constant monitoring is extremely creepy. But despite requests that go all the way back to 2012, Spotify doesn’t have any plans to change the block feature. “We definitely think this is a strong idea, however it isn’t in our current road map,” a company representative told Buzzfeed. 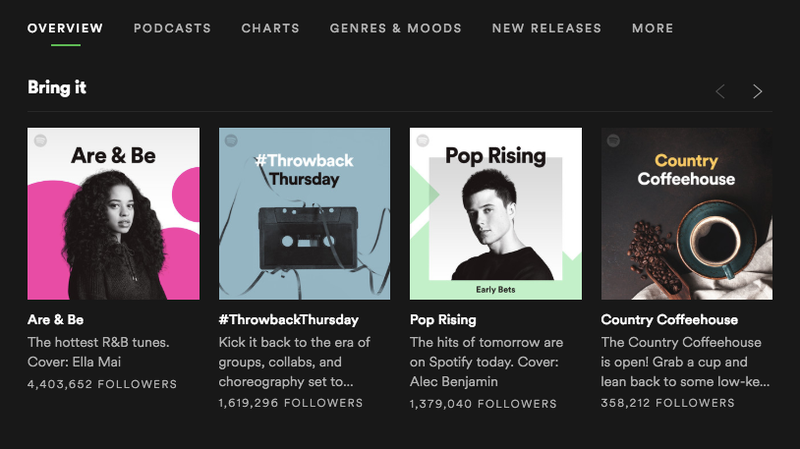 And Spotify’s resistance seems hypocritical considering how outspoken the company has been in the past year about removing alleged abusers from the platform. That Spotify can become a place for men to harass women should serve as a reminder that they can make any platform awful. Look out, Pinterest!